Home of the Scottish Parliament, the Castle, Greyfriars Bobby and now our first-joint proposal, Structured House Group will showcase refreshed proposals, together with Scotmid Co-operative, at two Public Information Days next week. 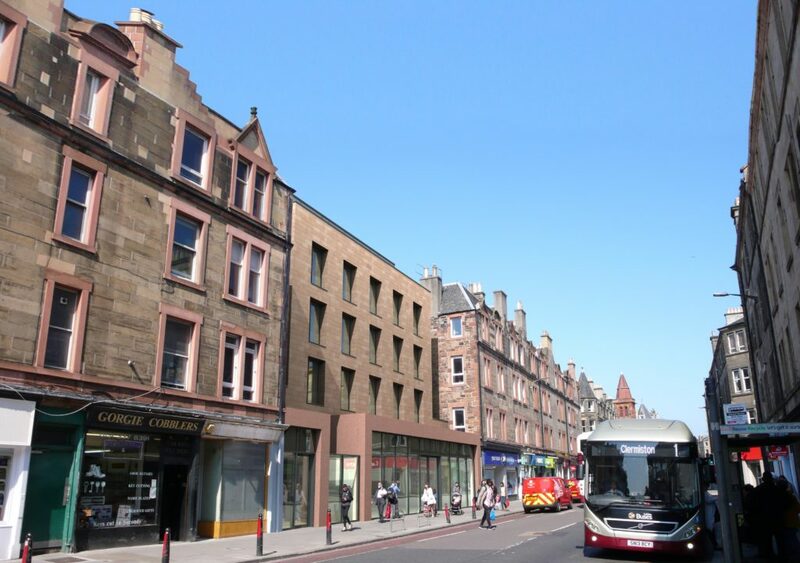 The two days of public information will show the community and interested stakeholders new and refreshed proposals for a state-of-the-art store and student accommodation at 236 Gorgie Road next week. Partnering with Scotmid, we hope to bring a new and refreshing development to the local area and will be exhibiting our plans on Tuesday 6th and Wednesday 7th of November at the Gorgie Dalry Stenhouse Church of Scotland from 2-7pm. Working with Edinburgh City Council and following comments from locals and the Edinburgh Urban Design team, the team has worked extensively on revisions to the plans which we are keen to showcase to the public. Our joint submission will see the community-convenience store transformed, which Scotmid will continue run, and our student apartments, management by our in-house operation team BOHO. We have teamed up with Edinburgh’s Manson Architects + Planners which has run number of large-scale projects and has been nominated for previous Property Awards as well as being listed as an Urban Realm Top 100. The apartments will include internal amenity in the form of lounge/kitchen/dining areas for each cluster flat and common rooms and 100% of cycle storage will be included for each student. On site management of the upper floors will be incorporated into the secure entrance of the build. From inception to completion, we look after our buildings and our people and will be managing the build through our in-house management team, BOHO. The proposed development, subject to planning, should to be completed by 2020 with the store back in operation and servicing the local community before the end of 2019.